This flavour of popcorn intrigued me. 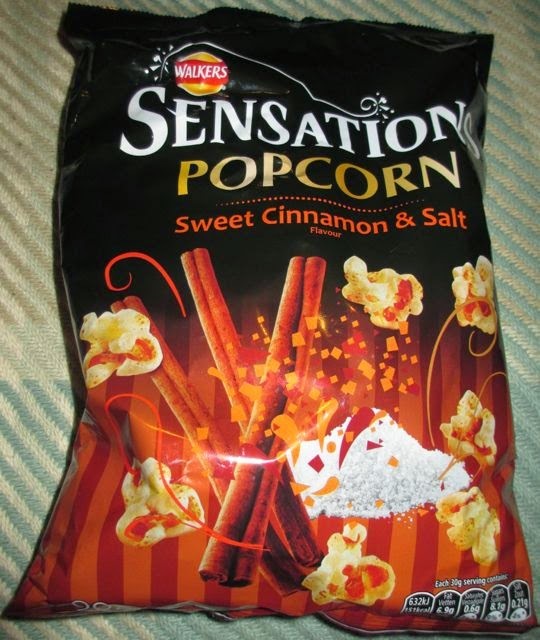 As a rule I buy weird flavours of popcorn, and although I have enjoyed a lot of them, I always end up thinking that sweet and salty is my favourite. It is just a bit hard to beat as a flavour combination. On a side note, my favourite spice, or flavouring for that matter, is cinnamon, so anything with a good hint of cinnamon also gets my vote. This popcorn seemed to be tailor made for me, combining all my favourite ingredients into one popcorn variety. 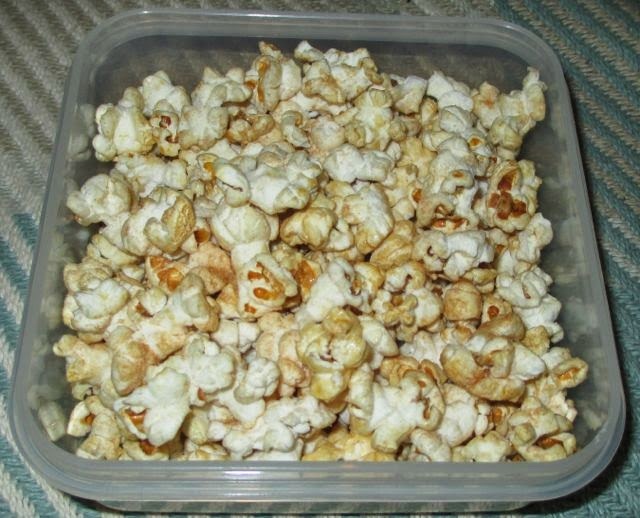 The popcorn smelt wonderfully warming when I opened up the bag, and I could see plenty of seasoning sprinkled over the popcorn. The popcorn pieces were quite large and had a nice mix of textures from fluffy to fairly crunchy. The flavour itself was ever so moreish. The cinnamon was the most prominent, and it was lovely and sweet and gently spicy, the salt was like a magic ingredient and just enhanced it perfectly. I think it was the saltiness that made it so moresih. Basically every piece had a slightly different flavour combination on it, ranging from rather salty through to very sweet and of course different levels of cinnamon mixed in to for good measure. This made it really interesting to eat and kept my hand going back for more. Essentially it is a christmas flavoured popcorn, what better to watch with a christmas movie!